We ran across Nautical Language, a fascinating page on the Sea the Sea website. Nautical Language explains the meaning and origin of over 200 everyday expressions from our seafaring roots. Aloof: A nautical order to keep the ship’s head to the wind, thus to stay clear of a lee shore or some other quarter. The front part of the sail which meets the wind is called the luff. A sailing vessel that could point higher to windward and hold its speed better than another was said to stand apart or to sail a-luff that later became aloof. Today the word is used to describe a person who is distant or stands apart from the others. Clean Bill of Health: A widely used term which originates from the “Bill of Health”, a document issued to a ship showing that the port it sailed from suffered from no epidemic or infection at the time of departure. Cut and Run: Hurry off abruptly; to escape by a sudden maneuver. This phrase comes from the act of cutting the anchor line in an effort to make a quick getaway. Alternately, the saying comes from the cutting of the ropeyarns used to fasten the sails so the sails could fall quickly when the need to get under way was urgent. Fathom it: In the days of sailing vessels, soundings were made by lowering a lead weight on hemp line. As the line was retrieved, it was measured with outstretched arms. Today the expression “can’t fathom it” means that we don’t understand or can’t work it out or, more close to the origination, we can’t find the depth of the meaning in something. Filibuster: From the Dutch for ‘vrybuiter’ (freebooter) translated into French as ‘flibustier’. It is now used as a political term meaning to delay or obstruct the passage of legislation by non-stop speech making. The term originated from the Buccaneers known in England as filibusters who would stop sailing vessels. Gob-stoppers: The expression is thought to originate in the nautical practice of placing a grapeshot in the mouth (gob) of an over-talkative ship’s youngster. The term refers to a large, round, hard candy, also know as a jawbreaker. Gripe: A sailing vessel ‘gripes’ when she can not properly sail close hauled (at a angle close to the direction of the wind) due to being incorrectly designed or because she has an imbalance of sail which results in bow (front) heading into the wind when sailing close-hauled. 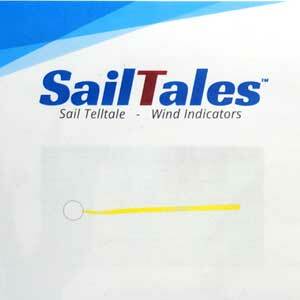 The sails flap around and forward progress is difficult. The term is now used to mean complain. Mind your P’s and Q’s: Sailors would get credit at the taverns in port until they were paid. The barman would keep a record of their drinks on a chalkboard behind the bar. A mark was made under “P” for pint or “Q” for quart. On payday, the sailors were liable for each mark next to his name, so he was forced to “mind his P’s and Q’s.” Today the term means to remain well behaved. Over a barrel: Sailors being punished were sometimes tied over a cannon barrel when being whipped. Today the expression is used when someone is in a bad situation and that there is often no other possible course of action. Pipe Down: This originally nautical term was used as an officer’s whistle sound denoting the completion of an above-deck work shift and thereby giving permission to go below. This expression is now used to mean “be quiet” or keep quiet”. Pooped: This word is used to denote the swamping of an aft deck when sailing down wind in high following seas. Today the word is used synonymously with worn-out or fatigued, perhaps as the crew member may have been on a “pooped” deck. Rummage sale: This term is used synonymously with yard sale or garage sale. The term comes from the French word ‘arrimage’ meaning “the loading of a cargo ship.” The damaged cargo or rummage was occasionally sold. Showing your true colors: This is an expression which originated from the old warship custom of having flags from many places available onboard to deceive a potential enemy. Showing your true colors meant to use the ship’s correct flag. The expression now means much the same– to reveal one’s true intentions. Skyscraper: This word is most commonly used to describe a tall building. The word originates from the term for a small, triangular shaped sail that was set above the other sails on the old square-rigged vessels. They were so tall they seemed to scrape the sky. Taken Aback: This is a term used to describe the position of a sailing vessel with the bow or front facing directly into the wind so that neither side of the sails fill. Today the expression is used to describe a sense of being surprised or shocked by an unforeseen event. Whole nine yards: This expression means everything or all encompassing. The expression comes from the old square-rigged sailing vessels that had three masts with three yards of sails on each. The whole nine yards meant all sails were up.